Officials opening new HAWK signal crosswalk. FABB is pleased to report that Fairfax County’s first pedestrian-oriented HAWK traffic signal was installed on 30 August on Backlick Road near Lynbrook Elementary School in Springfield. Children and others in the area will now find it much easier to safely cross this busy highway and participate in more school events and outdoor activities. Previously, all children attending Lynbrook have been bused there because there was no safe crossing for students at Backlick Road. You can see the inaugural walk using the new traffic signal here. HAWK (High-intensity Activated crosswalk) signals allow for protected pedestrian crossings but stop road traffic only as needed, a benefit for walkers and motorists. When a pedestrian activates the signal by pushing a button, the HAWK beacon sequence is started, first with a flashing yellow light, then a steady yellow, and finally a steady red to stop traffic. When the HAWK beacon displays the steady red signal, the pedestrian light displays the walking-person (walk) indicator. When vehicle traffic is about to restart, the pedestrian signal goes to steady "don't walk" indicator, remaining there until another pedestrian activates the signal. According to Federal Highway Administration research, HAWK signals reduce pedestrian crashes by 69 percent compared to crosswalks without signals. Find the user guide here. This project is a great example of a community coming together to work—over several years—with local officials to make things happen. The Lynbrook Parent Teacher Association (PTA) got the ball rolling in 2009, working with the county’s Safe Routes to School (SRTS) representative and TrailsforYouth.org to bring the issue to Lynbrook’s principal, Mary McNamee. 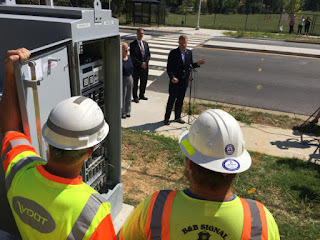 The Springfield Civic Association joined in and worked with Lee District Supervisor Jeff McKay to press the Virginia and Fairfax County Departments of Transportation (VDOT and FCDOT) to create a safe crossing for the children. Although it took time, funding was eventually found to create the crossing as a pilot program. 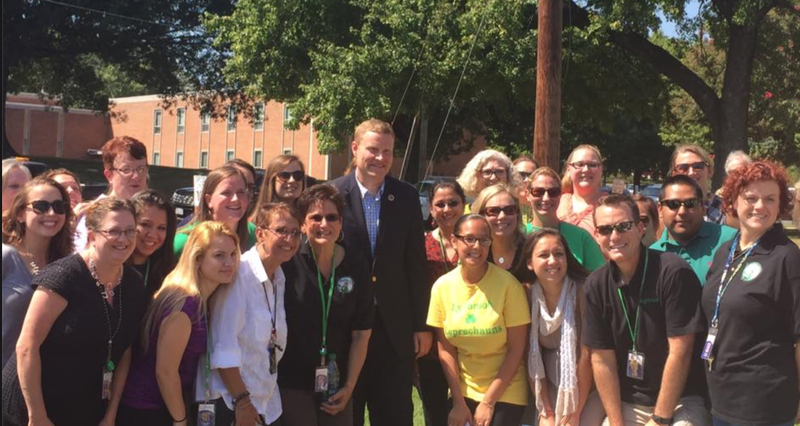 FCDOT and the Fairfax County Department of Public Works (FCDPW) also worked with the Lynbrook PTA to design and construct new sidewalks around the crossing, which were completed last summer. New Lynbrook principal Jay Nocco and 39th District Delegate Vivian Watts also helped bring the project to fruition. FABB commends everyone who persevered and made this happen. Fairfax County, however, still has a way to go to be on par with some of its neighbors. DC started adding HAWK signals in 2009 and now has 13 in operation. Montgomery and Prince George’s Counties also are ahead of Fairfax. FABB is confident that Fairfax will eventually catch up and remains committed, with your help, to advocating for better bicycling and pedestrian facilities in the county.